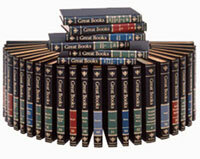 The volumes once synonymous with the word encyclopaedia are going out of print. When this magazine hits stand, Encyclopaedia Britannica would have gone out of print, bringing an end to a 244-year-old history. In an acknowledgment of the realities of the digital age—and of competition from website Wikipedia—Encyclopaedia Britannica will focus primarily on its online encyclopaedias and educational curriculum for schools. The last print version is the 32-volume 2010 edition, which includes new entries on global warming and the Human Genome Project.